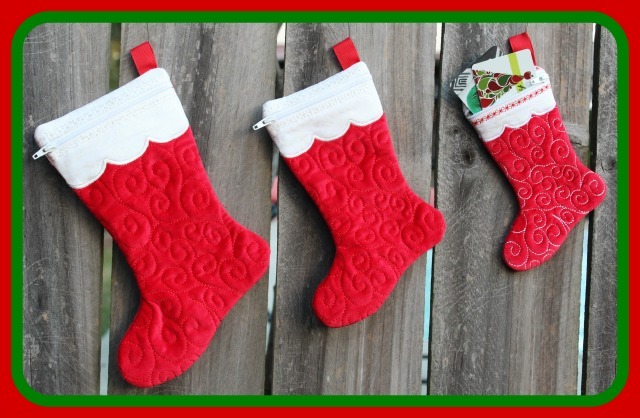 This set of Christmas Stocking Bags come in 3 sizes. There are two files to each stocking, a “back” and “front finish”. The entire stocking bag is not only quilted but completely finished in the hoop in just two hoopings with no raw seams showing inside. This page is for the SM Set ONLY of stocking bags. If you want only the largest 2 sizes, click here. If you want all 5 sizes, the best buy $$$ click here. Hoop sizes included in this set: SM-5" x 7", MD-6" x 9", LG-7" x 11"